If you are considering starting a business in the United States and moving there in order to establish it, there are several visa options to consider. The right choice will depend on your current situation. If you already have an established business outside of the US which has been trading for at least twelve months, and employs four or more people, the L-1A visa is something you should consider. Click here for information on the L-1A visa. If your business has been trading for less than twelve months or has fewer than four employees, you should consider the E-2 visa explained below. If you do not have a business outside of the US but are interested in moving there to start a business, you should consider the E-2 visa explained below. Under the E-2 visa the opportunity exists to move to the USA on the basis that you are investing a substantial sum into your own business there. 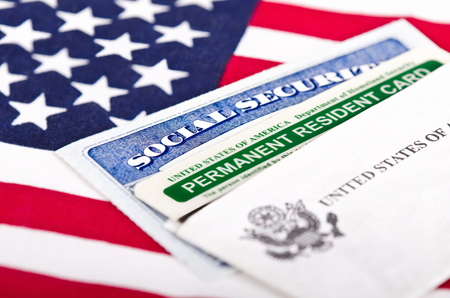 This visa category enables you to remain in the US as long as your enterprise is in operation. After your maximum initial stay of 2 years, you must apply to extend your status in increments of up to two years, with no fixed extension limit. The business should have present or future capacity to produce more than enough income to support an E2 visa holder and their immediate family and contribute to the US economy. The E-2 visa confers no rights for permanent residency, and when the business is concluded the visa holder must return to their own country. A spouse and children under 21 are eligible to join an E-2 investor in the USA. E-2 visa applications require a detailed and exhaustive business plan . An applicant must have invested, or be in the process of investing a significant amount of capital into an existent and operating US enterprise, and be entering the US based on these terms. The E-2 visa is valid for an initial 2 years. After this period, the activities of the business will be reviewed and if the conditions of the visa are being continually met, status can be extended in additional two year stages. Arriving in a new business environment can be stressful, regardless of your expertise and background. There are unfamiliar rules and regulations to comply with, choices to make in terms of office location, hiring staff, finding suppliers and pleasing customers. You do not want to be burdened by tasks that add no value to your business. Our experts can help you to get started so that you can concentrate on your real business issues. Tax planning – helping you to minimise your exposure to US tax liability. The quick answer is, anywhere. We can help you to set up your business in any of the 50 US states. To find out more about the most popular formation packages we offer, enquire today . If you are considering opening a business in the US and moving there to run it we can help you to assess your options and to assist you in making sure that your initiation into the US business market is a smooth one. Register to view our recent EB-5 webinar. Your chance to move to the US. Immigration into America Copyright © 2019.